Did you know we can build multi unit dwellings? With the recent changes in the unitary plan we are seeing more clients come through looking for opportunities to develop their land, and searching for that practical and cost effective builder. A great example of this is this boutique development recently designed by MC2 Architects which will be commencing building on site in September 2019. 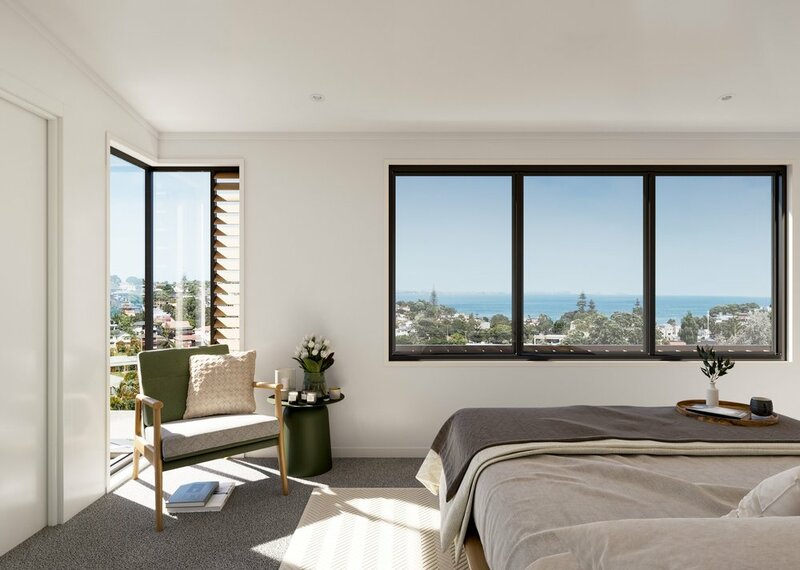 These townhouses comprise of five architecturally-designed, high quality, three or four bedroom homes with expansive views from the living/dining, balcony and master bedrooms out to Rangitoto and the Hauraki Gulf. 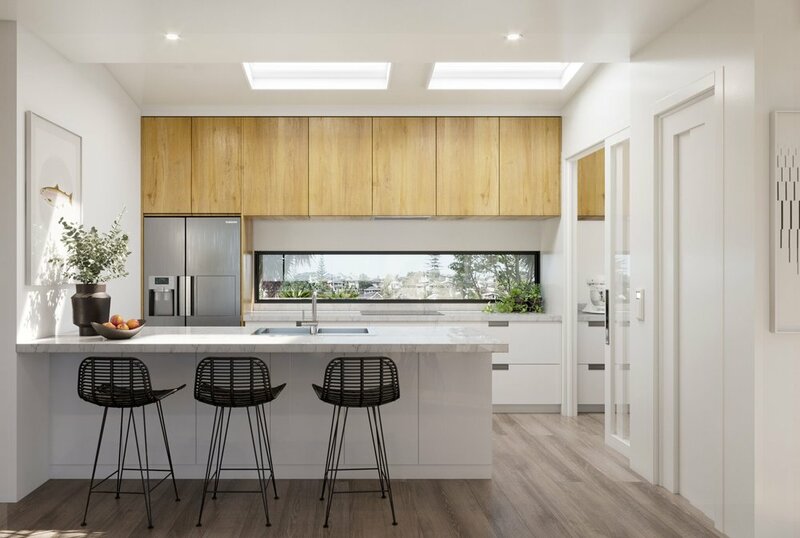 We worked with the client making sure the floor plan ticked all boxes from getting the layout 100% right for its target market, through to the most practical construction methods. There is strong emphasis on natural light ensuring each home captures maximum sun and light from every possible angle. A durable exterior design using leading technology for the cladding system is ideal for coastal conditions the site is in. These homes are currently being Marketed by Bayleys and with two sold already our clients are pushing on with the project. Please get in touch with our head office should you require any further information on purchasing one of these beautiful homes.